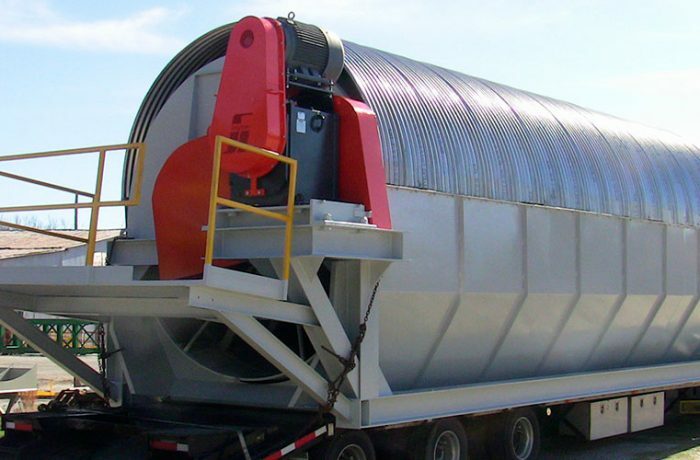 Wood chips, bark and mill wastes come cleaner in a Fulghum revolving drum screen. Four heavy duty models available, sized right for your mill and cleanup assignment. Since the day it was introduced, Fulghum's drum screen has been getting high marks for reducing remaining fines and bark in wood chips (by more than half), for removal of dirt from bark and for its ability to handle woodyard cleanup materials. Its rotating punch plate screen is designed for specific applications. Coupled with loading and conveying equipment (also fabricated and installed by Fulghum), the machine is a dependable and economic performer in almost any type of wood processing mill.